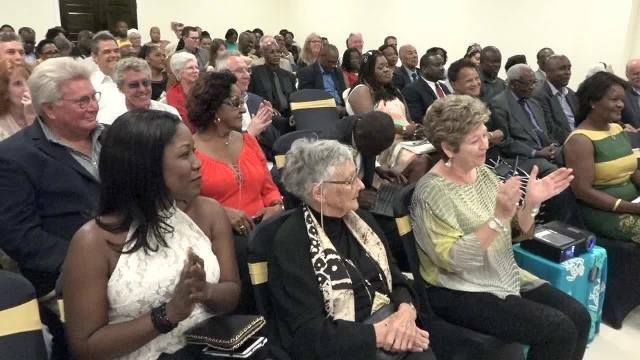 Mr. Brantley’s praise for the artist, came while delivering remarks at her 50-minute television film’s debut at the Social Security’s conference room at Pinney’s on January 14, 2017, at a VIP event hosted by the Ministry of Tourism in collaboration with Dr. Goodfield. “Dr. Goodfield, I don’t know what words I could use to describe what you’ve accomplished here. I’ve not seen the film, by all accounts, it is a brilliant film with brilliant adaptation of your book and it described, of course, the life and times of some woman called Philippa. “We are quite pleased that you have chosen Nevis, that you have come here and you have fallen in love with the island and that you have produced a film that, we hope, will not just air here but as we have heard will become an international film,” he said. Mr. Brantley registered his gratitude to those who were present to witness what he termed, an historic event. He said based on his recollection, the film is the first to be set in Nevis and actually premiered on the island. He told them they had been given an opportunity to view the film ahead of those in other historic capitals around the world. However, the Minister noted that it would not be possible without Dr. Goodfield and all praise was due to her. 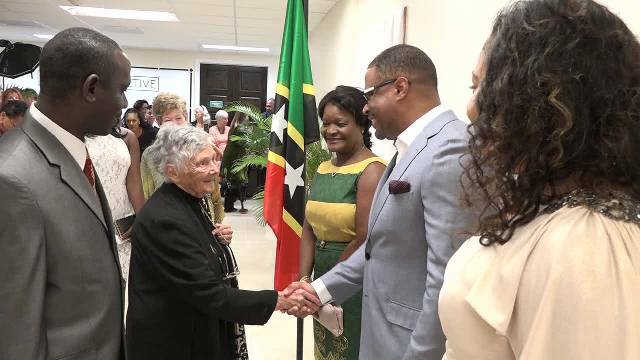 Mr. Brantley stated that when he first met with Dr. Goodfield, his afterthought was she was another dreamer but he was pleased her dream had come to fruition and thanked her for sharing her work with Nevis. “I want to say thank you for doing your part to put Nevis firmly on the map and so we are very grateful to you,” he said. The film was produced and directed by Robin Bextor, director of New Wave Pictures Limited based in the United Kingdom.